Some potential clients come to us with their new pillar/cluster model they’ve worked tirelessly on. And then we have to tell them it won’t work. Content marketing at scale is hard. Even publishing a few times a week means 100+ posts in the first year. And if you have an even more accelerated calendar you’ll be left with tons of content to dig through — leaving your first posts never to be read again. Creating some kind of content taxonomy is helpful not only to keep you sane, but make sure your readers can seamlessly get from one post to the next relevant one. Recently, “topic clusters” is the new buzzword to help achieve this. In short, a topic cluster is a content taxonomy method that uses a single page (the “pillar”) acting as the hub for many posts (the “clusters”) around it. Originally popularized by HubSpot, not only does it make it easy to organize an internal content calendar, but it has the added benefit of associating different high-level entities to your brand. Potential to rank for higher value, higher volume keywords with a single pillar page populated with smaller clusters to show breadth to a certain topic. Topic clusters show semantic relationship between the pages’ content and the overarching pillar page. User experience benefit from improved internal linking structure that leads people through the buyer’s journey more efficiently. I’ve been hearing a lot from clients about their own topic cluster model and how they’ve adapted it to their needs. This all sounds great! But this model probably isn’t right for your business. In fact, there are very few companies out there who can find true value from adopting this. Too often we have clients bring to us their new topic cluster idea — only to find that they’re forcing a model (popularized by a publishing powerhouse) to fit their more micro needs. Like HubSpot said, pillars should go after very broad terms. This means that the terms you target should be high level, high search volume and high competition. If your pillar page is too long-tail or niche, you’re not going to populate it with enough clusters (e.g. supporting content) to make it look robust enough. For example, let’s say you’re customer service software Broadly. You already have a blog that’s updated weekly and you’re looking for a new blog architecture. If we were following the topic cluster model, an example pillar may be “customer feedback.” Seems broad enough, right? But if you look at the long tail related to that potential pillar, you’ll find that volume drops off after five to 10 phrases like “customer feedback questions” and “customer feedback methods.” Even a vague keyword like “customer feedback” only has so many potential long tail after that. So if you find yourself trying to fit a niche keyword into too big of a pillar, step back and reconsider if it really provides enough content opportunities to build out. It’s likely you just need to write a handful of articles focused on those keywords instead. I know — I just told you broad pillars are preferred. But there is a scenario when too broad also means off brand. In order to cover all the potential clusters under the pillar, you’re risking spending a lot of time writing topics that aren’t close to your product or service. For example, if you’re an automation company like Zapier, your brand promise is increased productivity through automating daily tasks like email, messaging and more. So a natural broad keyword may be “productivity.” And in fact, Zapier has a productivity tab on their current blog already. While they probably didn’t set up this category with the topic cluster model in mind, attempting to rank for “productivity” isn’t the right mindset with this pillar. The keyword “productivity,” if you Google it, doesn’t match to Zapier’s core business model. You’ll see a lot around productivity at work, but it focuses on a variety of methods like time management, healthy habits and more. Unless Zapier wants to dedicate a good portion of their publishing to these other productivity points, ranking shouldn’t be a core goal. Broad topics are best for pillars, but consider the resources you’ll also have to dedicate to populate that pillar. If too many resources are going towards off brand or low value keywords, it’s not the right pillar. Most companies don’t solve a myriad of problems. They focus on a specific industry and serve a niche need. Some clients have come to us with a list of pillar ideas that are way too similar, despite maybe having different search volume or SERPs. Google is getting smarter and smarter at making connections. Even if today the SERP between “moving companies” and “moving” are slightly different, they are essentially the same word and Google is serving us very similar results. So if I’m a self storage company, there’s no reason to create two pillars for each of these broad terms. This also creates a duplicate content concern that the original topic cluster model helps to avoid. If your pillars are too similar, your internal discussion will be consumed with if topic X is a better fit under pillar Y or Z. That’s not the best use of your content planning meeting time. The final error I see with pillar page creation is potential competition with your product pages. It’s smart to build pillars that are on brand and close to product, but too close and you again run into the risk of confusing Google. Except this time you’re fighting with your bottom funnel pages. An example and potential solution that I like is Blue Buffalo’s blog. They have a main eCommerce nav at the top and a secondary blog nav with their top six “pillars.” One potential obstacle is their “Dog Food” page and corresponding dog nutrition topics. They’ve addressed this by deoptimizing the pillar anchor text (“Health”). Sometimes a simple anchor text or URL change is all you need, but be aware of these potential overlaps when formulating your navigation. Even if the topic cluster model isn’t the right fit for your content strategy, it doesn’t mean you’re stuck with a generic blog. There are ways you can manage your existing site content and reap the same SEO benefits. Category and topic labels went by the wayside after too many SEOs abused them for keyword stuffing, which in turn has left many blogs without any kind of uniform structure. But I still stand by them! If used correctly, like the Buzzstream blog, you can succinctly call out your top categories at the top. You’re still getting some nice anchor text on the page to show semantic relationship of your blog content, without having to build out a multi-level framework. Different naming conventions for certain “hubs” is a great substitute. Some companies opt to name their hubs after different content formats (for example, an “eBooks” hub, a “Resources” hub and a “Whitepapers” hub). I find this method to be lacking. Even if keywords aren’t the priority, it makes your nav look no different from your competition. Instead, explore content hubs that have broad keyword value and can make your nav stand out from the competition. Kitchen Cabinet Kings is a good example of this. You can see the thought put into their naming convention compared to Cabinet.com’s drop down, which is much more generic. If your industry is niche enough, you probably only have a handful of content that drives the most relevant traffic. Some are obvious, like a FAQ or Tutorials page, but other experiences like a long form guide or microsite also apply here. Moz’s footer is a perfect example of linking to high value content, where you’ll see their Beginner’s Guide to SEO specifically called out and linked to. 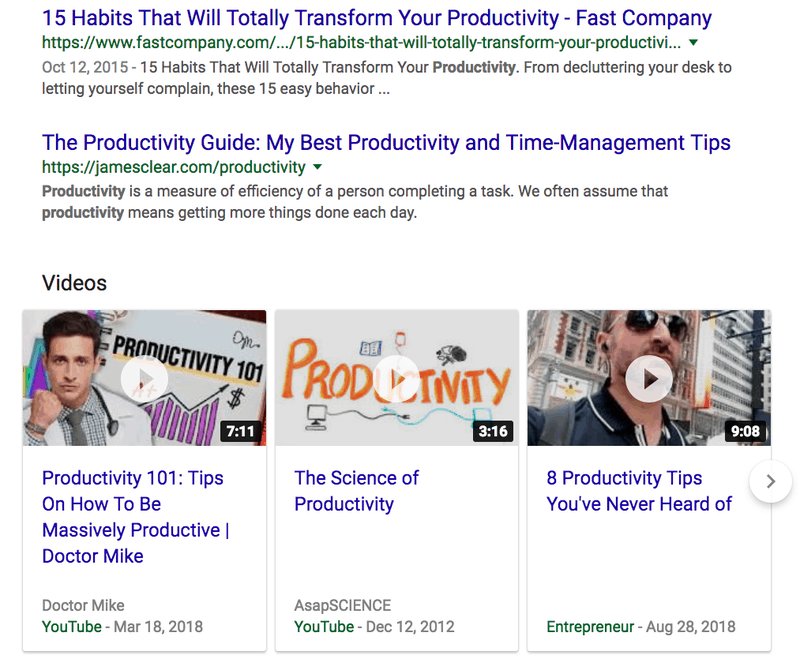 Another example of a navigation link would be Zapier’s Tips & Advice dropdown that includes links to several middle funnel content pieces like their roundup of best survey apps. If you’re still unsure, return to the quote from HubSpot above — is your topic pillar ranking for a giant head term or something more long tail? If the latter, this method may not be the best fit. Before you cluster (or do one of the alternatives), I highly recommend reading our post on content auditing. If you’re reworking your entire content IA, this is perfect timing to take full stock of your content library. This can inform your chosen model based on what you’ve already written. Additionally, you’re removing low performers, which ensures your new blog gets the fresh start it deserves. If you’re looking to overhaul your content architecture, there are so many routes out there! The best one for one site may not be the best solution for yours, so take your time and map out an IA that produces the results you want. Caroline is Director of Content Strategy at Siege Media. With a background in public relations and marketing, she enjoys creating and pitching unique content. HOW DARE YOU CRITICIZE OUR TOPIC CLUSTER MODEL?!?! 1. More than anything, this model is opposed to be a useful framework for how to think about content vs a completely prescriptive process that has to be followed exactly how we’ve laid it out. In our article explaining the framework, we give some specifics on how we rolled this out, but as you correctly state – what works for HubSpot, doesn’t necessarily work for everyone else. 2. In specific reference to the pillar page comments you made, in particular this: “The final error I see with pillar page creation is potential competition with your product pages.” <– so, a pillar page doesn't NEED to be targeting an informational query. A pillar page can actually be a product page – in fact, we do this a bunch at HubSpot, too. The most important aspect of the pillar in relation to the overall topic cluster is the linking. Making sure that you push as many internal links to the page targeting the most competitive query(ies). 3. With the argument around the fact that sometimes there just isn't enough search volume for your search queries to justify a topic cluster model… my counter-argument is that actually, this is all relative. Not every topic cluster needs to hold tons of pages. The size of them usually relates to the breadth of the topic and the value of the search volume in relation to your business. Even if you're just simply using the model to ensure you only build out content relevant to your business, this will still work. Ultimately, the fundamentals that the topic cluster model is built upon dates way back to the use of siloed architectures – primarily in ecommerce – which can be applied at different levels. Those to one side, you make some good points here and I completely empathize with the situation of prospective clients (or current ones) coming to you and asking to adopt this model. First of all (as you mention at the end), there's usually wins to be had elsewhere with running content audits, etc. and a big change to your site architecture may not be worth the risk for the . potential gains you could expect. That said, if you're starting a brand new project from scratch, I'd argue that any website in this situation can at least take something from the model that is useful – even if it's just a way of thinking about content. Thanks Matt for your comment and thoughts (and to your team for building a solid content IA)! Regarding your second and third point, those both make total sense. I think it all depends on the client’s application/needs. Most of our clients come to us wanting informational pages that would feel lean if they only had a small amount of clusters. This problem doesn’t apply to all informational pages, so I usually default to what the reader’s expectation is there. On the flip side, I do see small pillars working for eCommerce pages. I haven’t seen it implemented a ton — I imagine because it’s hard to do so elegantly, in addition to not wanting to risk any hits to conversion. I do see it working for big content sites. NerdWallet does this very well with their pillar pages (ex: https://www.nerdwallet.com/blog/category/investing/) where they’re able to rank for a big query in addition to pushing their highest value “cluster” posts. I agree that the framework is useful. What I don’t share in this post are the clients we have actually recommended this framework (or a variation thereof) to 😀 So it definitely works for some, just not all. Looking forward to future iterations from the HubSpot team! One of the rare occasions when I learn as much from a comment as the from the post. I love the model but have struggled with similar issues as all of my clients are ecommerce. I wondered if the solution was simply to make the product/category page the pillar, and it sounds like that’s exactly what you’re saying. Any examples of this implemented well would be great. Awesome, insightful read Caroline. I also enjoyed a lot Matthew’s thoughts on the topic.